Adds environmental stimulus. 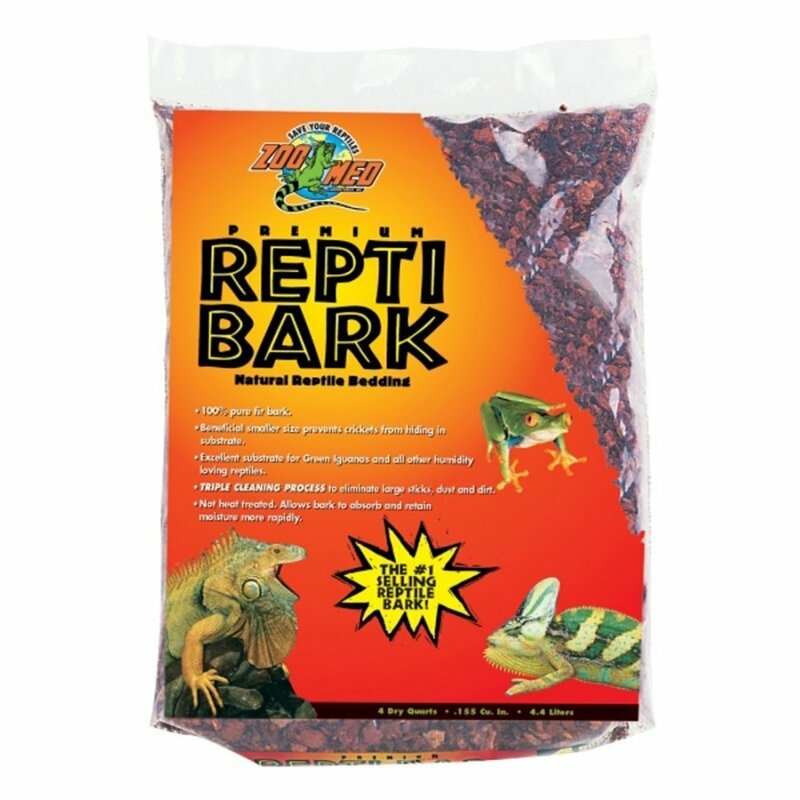 This all natural cage substrate is made from the bark of fir trees to provide the perfect environment for humidity loving reptiles. 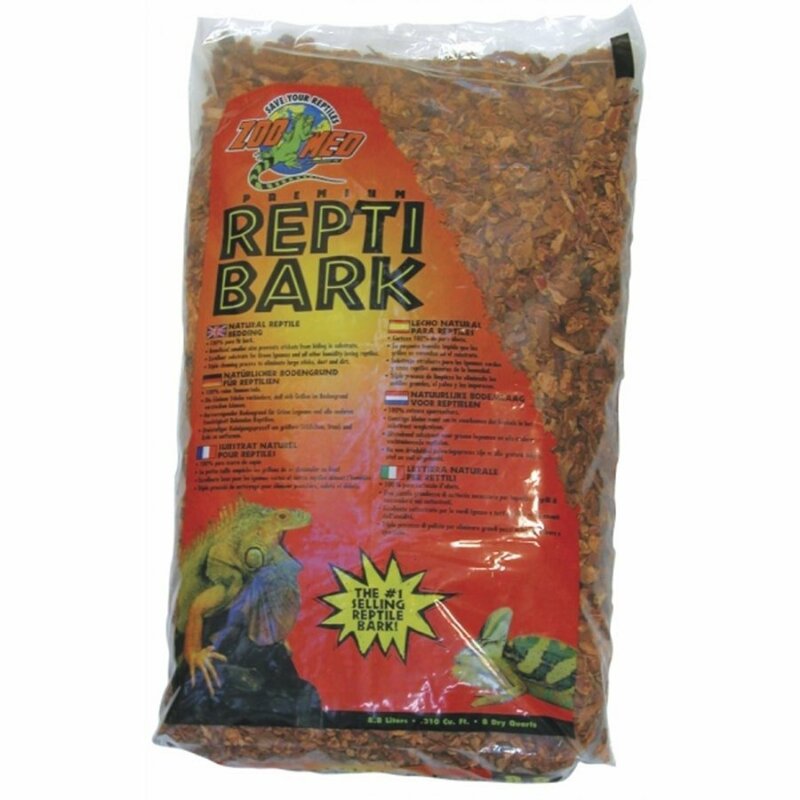 Repti Bark Reptile Cage Litter has different options and/or variations, please choose below. Allows natural digging and burrowing activity. 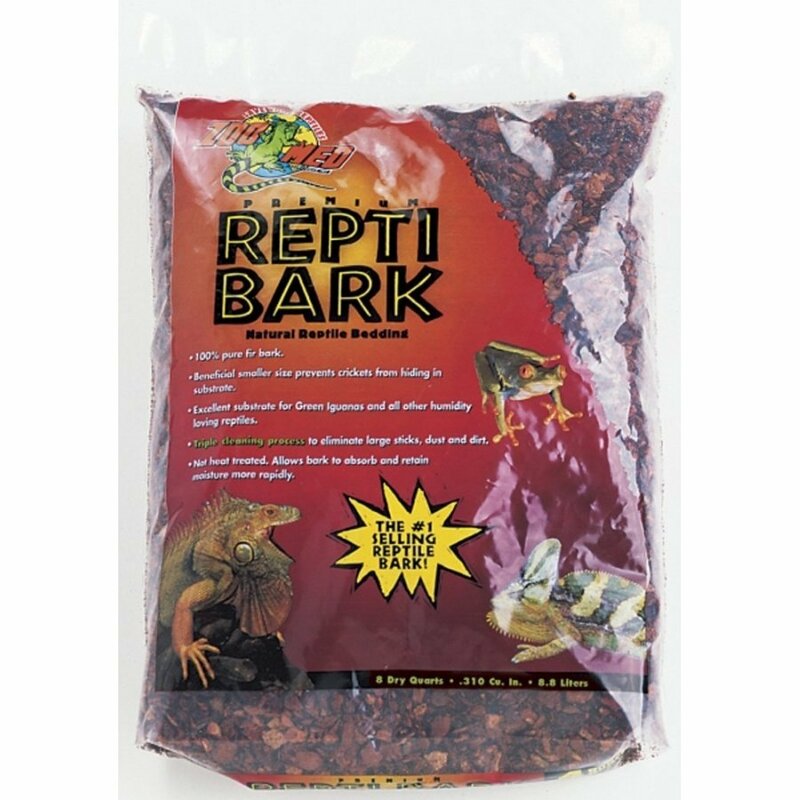 ZooMed Repti Bark Cage Litter is an ideal substrate for humid terrariums because of its ability to absorb and release moisture to assist in regulating humidity. It conducts and evenly distributes heat and encourages natural burrowing and digging activity. And it's economical, too! Soak in hot water every 2-3 months to clean and freshen; replace with new bark at least once a year, or when heavily soiled.